Weeks ago, I decided that I was going to be part of the Girls in Sheep Clothing KAL for Bridgewater. I could think of nothing else I would rather be doing on New Years Day! The very next day I headed out to Borealis Yarns where my yarn guru, Abbie, wound up 2000 yards of the most luscious baby Alpaca from Plymouth Yarns. It was called "Dye for me" and came in a natural color, but as the name implies, you can dye it to whatever color you desire. 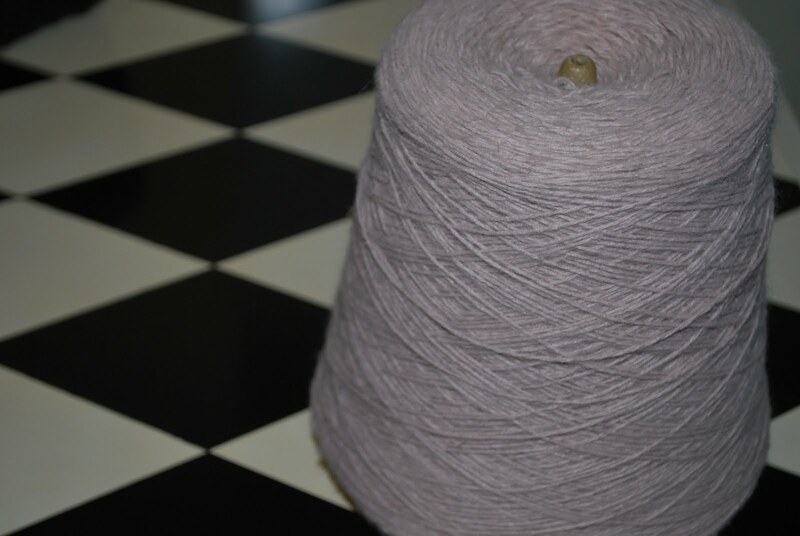 Now, I was happy with this choice, it was affordable and it had been calling my name for over a year, so it seemed the logical yarn for this project. Then, after Christmas, I had this nagging feeling that the yarn was all wrong. Why? I'm not sure. Deep down I knew I wanted to make Bridgewater out of a merino blend, like my Beach Glass shawl that I love so much. I knew that if I made it out of alpaca, it would sit untouched in a drawer, and what's the point of knitting something so beautiful if it doesn't get used at all? Out came the stash, and I found an old skein of Jaggerspun Zephyr wool silk lace. I bought it years ago at the Textile Center Weaving Guild. It was as though it has been waiting patiently until now, like a faithful friend. This morning, I called the original store that supplied it and 1200 more yards are on the way to me. The color is Vanilla...and while it seems like an unadventurous choice, I looked through all the projects on Ravelry, and there weren't any that I liked better than the natural light shades. As for the beautiful baby alpaca, I'll quote Robert Frost: "Oh, I kept the first for another day!" I chose the one less traveled by, and I know that it will make all the difference. I see Kelli popped on earlier and posted her yarn choice (I've seen it...it's amazing!). Is everyone as excited as I am to get started on Bridgewater? 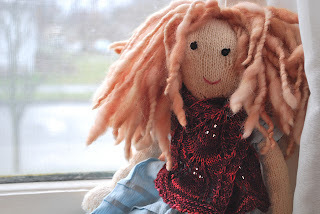 I had a brainstorm this morning that I think will take my knit from gorgeous to spectacular! Instead of my original choice of Madelinetosh Lace in Winter Wheat, I've decided to use Madelinetosh Prairie and do the center garter stitch section in Cove and all the lace borders in French Grey. I'm afraid that my original choice is too close to the Jared Flood knit I did last year (Rock Island) and with this being twice as big, I decided I didn't want to work with such a similar colorway. What do you think of the new yarns? Here's my yarn for the Bridgewater knit-a-long for New Years Day 2012. I'm excited to see what yarns others will be knitting. Mine is Spinni, Wool 1, by Isager. It's a deep, dark purple,I've been on a 'blackberry'color kick. When I saw this I just HAD TOO knit with it. I'm iching to knit lace, am always interested in seeing where Jared will take this pattern. 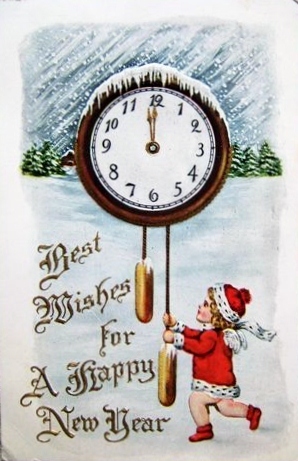 Hoping everybody has a wonderful 2012, we're off to a great start. What a lapful, eh? I'm sure there's a grin under all that beard! Jo and Zoe met Santa for the first time and got to share their elfish wishes for Christmas bounty on this, their first Christmas Eve. 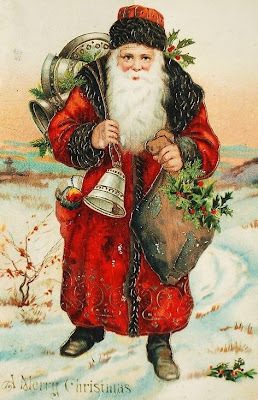 And they must have been good little gals this year ~ not a lump of coal to be found in their gift boxes! What a pair of fashionistas! I think they'll be the envy of all their little doll friends this season! As I carefully unraveled the ribbing, the tiniest bits of crackers and such that had become embedded in the fibers fell out in my lap and I could picture the little guy happily munching away wearing his cute little hand knit.﻿ Very sweet. I picked up my stitches again and crossed my fingers that there would be just enough yarn left and........success! He'll get one more winter from his gift from Auntie! and showing off their newest skully hand knits (I think if you click on the photos they will enlarge so you can check out the hats and the fish)! So cool! This is Kelli's husband, JR on the left. This is my husband, Jason, on the right. Isn't that a pretty trout? And an awesome hat (at least what you can see behind the head lamp, anyway!)? How lucky are these brothers? How lucky are we?! I should add (very importantly!) that Pass Lake is strictly 'catch and release' and that the 2 fish above were very quickly returned to the chilly water, as were all the rest that were unlucky enough to taste the flies, where they happily went about whatever business trout attend to when they're not being so rudely pulled from their homes!! Also ~ there's still time to join our annual KAL which kicks off January 1st ~ we're up to 5 knitters so far ~ just let us know if you're interested! Where would we be without our friends and knitting? 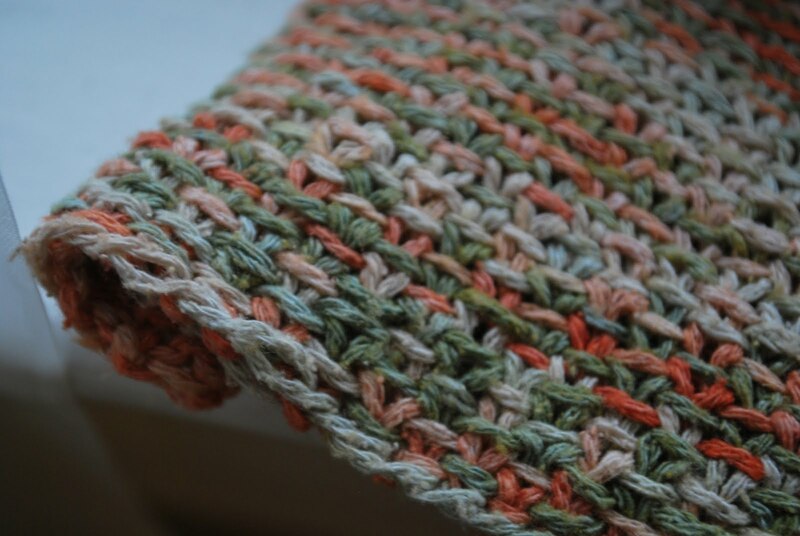 Maybe you already know this and maybe not... the linen stitch is one of my favorite stitches. It can be a bit tricky but well worth the time. RS(right side) Row 1 : K1, yarn to front, slip the next stitch (as if to purl), reapeat till end of row. WS(wrong side) Row 2 : P1, yarn in back,slip the next stitch(as if to purl), repeat till end of row. Repeat these 2 rows. I do 'just knit' a row before my bind off (loose) row. Mark the beginning of 'the round'. K1, slip1 (purlwise) with yarn in front. 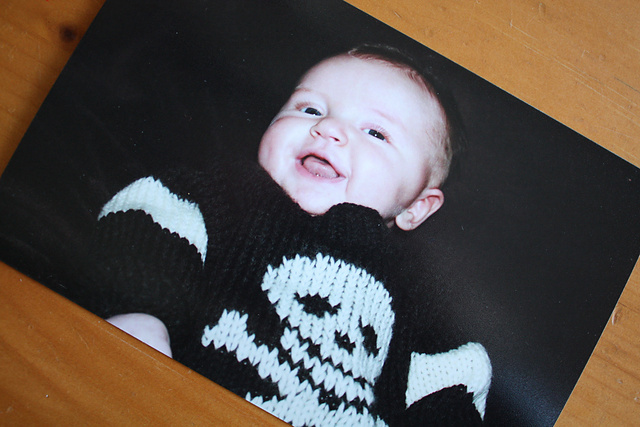 When you reach your marker, slip it over and just knit whatever stitch is next. Repeat till end. I do 'just knit' a row before my bind off(loose)row. I recommend that if you've never tried the stitch before to try it first 'in the round' and get the rythm of the stitch. It's a REALLY tight stitch and you'll be surpised how large a needle you can knit with for a medium fabric. This Chickadee Cowl pattern is a good one. 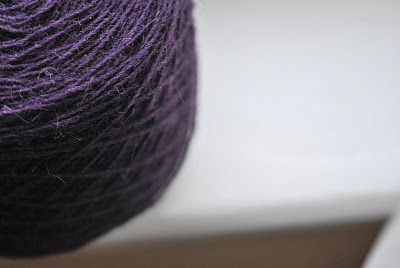 New Years Day KAL Revealed! This year we decided to stray from the norm (how many Calendar Scarves does one girl need ~ 4 is plenty!) and we've chosen Jared Flood's Bridgewater, which can be purchased directly from his website, as a Ravelry download or as part of the booklet Classic Elite #9108 ~ Made in Brooklyn. The pattern calls for 1800 yards of lace weight yarn (my yarn choice is pictured above ~ Madelinetosh Lace in Winter Wheat). Neither Kelli or I have made a square shawl and we both are pretty enamored by all of Jared's patterns and thought this would be a great way to start 2012....knitting some lace with a few good friends. So far we are 4 ~ Jeff in Pennsylvania (jmkorn on Ravelry), Morgen in Washington (she's joined us before ~ she's acoldwintersnight on Ravelry), Kelli and myself. There's plenty of time between now and when we cast on New Years Day, so if you have Bridgewater on your wish list and you want to join in the fun this year, just let us know! We'll add you to the blog as a guest contributor and we'll have a great time encouraging each other, helping when we get stuck and sharing photos as we go. With the New Year around the corner and an ever-growing list of knitting goals for 2012 (including this year's KAL...stay tuned...I'll share more later this week if you're interested! ), I've been hard at work finishing WIP's. I'll start off with this little 1/2 skein of sweetness that I whipped out for Zoe to wear tomorrow on our girls day to Churchmouse Yarns and Teas. This cute (free!) doll sweater pattern can be found on Petite Purls website and if you want to see any info on the sweater I made, here's the link. I'm going to love building Zoe's wardrobe ~ it's a great way to use up those random single skeins that we all have buried in the bottom of our stash! Juliet Scarf by Louisa Harding (pattern can be found free on Ravelry and it's also in her wonderful book, Knitting Little Luxuries). I've made 2 of these now and I love this pattern and the yarn is perfect. If you're tempted to try lace and want an easy project to practice on, this is the one. It's simple, it has written instructions as well as charts, and the result is so worth the effort! Give it a try! It's the Triinu Scarf from Nancy Bush's Knitted Lace of Estonia. It's another surprisingly simple lace pattern with amazing results (and that Madeline Tosh 'Byzantine' colorway merino light yarn is hands down the best red I've ever seen!!). I love this lace pattern ~ I love everything about this knit. I started this in July and put it down for far too long ~ I should have finished this a LONG time ago! That's it for now. I'll share our trip to Churchmouse after we go ~ there are 6 of us making the trek (plus Zoe and Jo) so it's certain to be loads of fun! I'll also get some info up soon about our upcoming KAL that will start on January 1st so that there will be time to get patterns and yarns and people added to the blog that want to join us this year. I'm looking forward to knitting with our ever growing little circle of friends across the states.